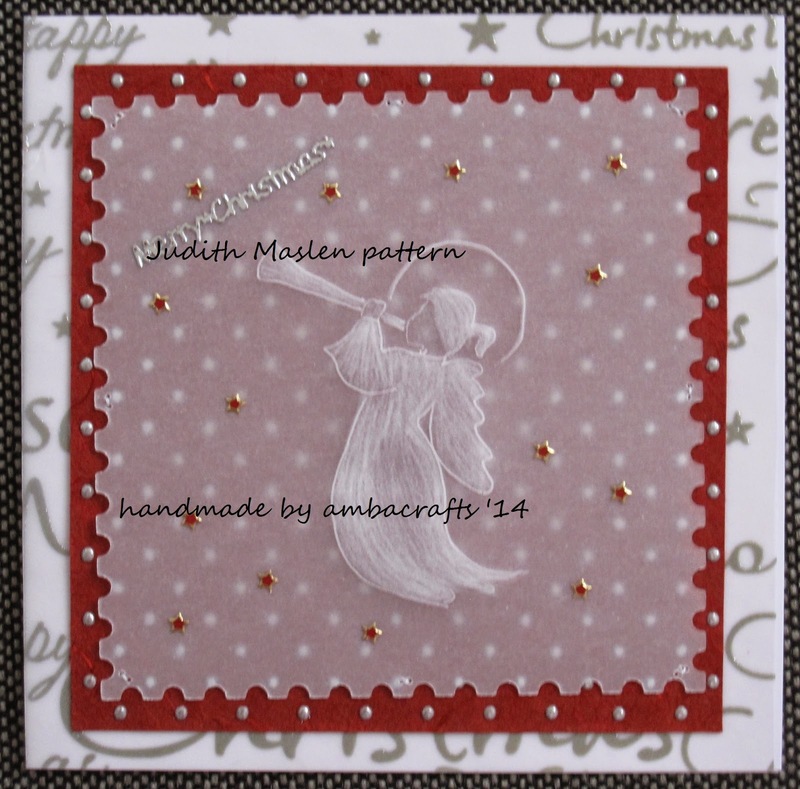 This card uses another of Judith Maslen's patterns. 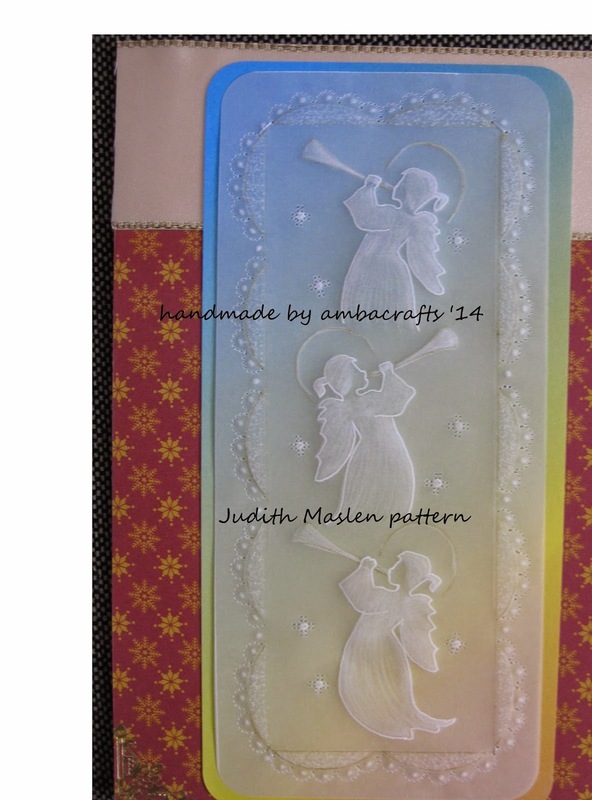 Backed onto DL card covered with snowflake paper and ribbon. For this card I used just 1 angel and added red peel off stars. Wow!! two really beautiful creations Alison. 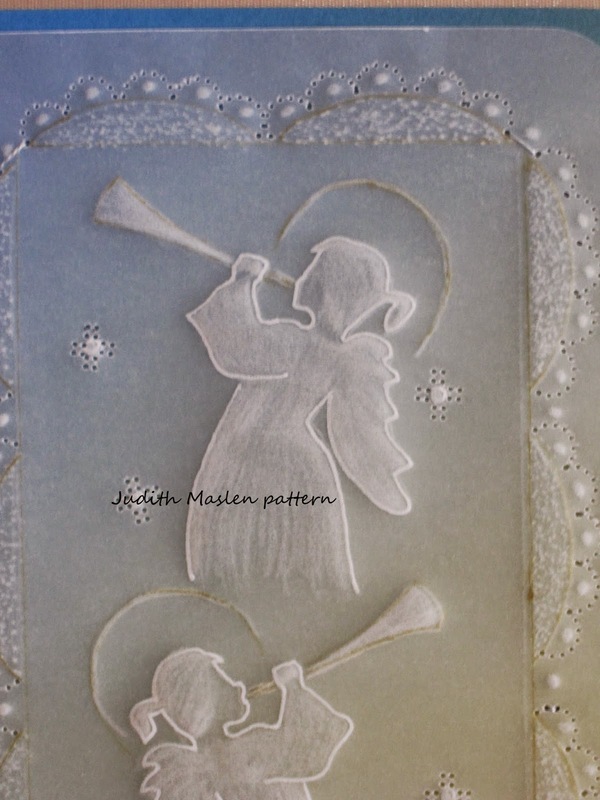 Stunning parchment work. These cards are just beautiful. Wow you are so talented Alison.